First Time Clients Get Free Sealer Application Up to 1000 square feet. Los Angeles, CA, February 15, 2019 --(PR.com)-- While pavers enhance the appeal of driveways, patios, pool decks and landscapes, sealing protects the pavers in many ways. Pavers are tough and durable, but they can be susceptible to damage from stains, spills, weather changes, mildew, or fading. Paved swimming pool decks or water bodies in the garden are also vulnerable to weed growth thanks to the high amounts of moisture. Pool decks or patios are often also used for barbecuing and outdoor parties with inevitable food spills, which in turn invite ants and insects. While sealing is not essential in many applications, it can help maintain the bright and shiny look of the paved driveway or patio for long periods of time. Apart from improving the overall aesthetics of pathways, driveways, patios and pool decks, sealing can make it easy to remove spills and stains. It is important to choose a top quality, reliable sealer to obtain maximum, long term protection. Reputed paver contractors use high-quality liquid sealers which are applied after the pavers are installed and are cleaned. Once applied, the sealers soak into the concrete and into the joints. While the sealers help keep the joint sand in place, they also prevent weeds and ants. Apart from these benefits, sealers bring out the best in the pavers, making the colors more vibrant. Sealing will also help add a glossy look to the pavers on the pathways, pool decks and driveways. The other benefit of sealers is that they block harmful UV rays which can result in fading of the paving stones in the long run. When used on paved driveways, sealers can enable easy removal of oil or grease stains, thereby imparting a clean look. Pavers are vulnerable to water damage from harsh weather, snow, ice or excess rain. If water from ice, snow or rain seeps into the unsealed driveway or pathway, it can lead to puddles beneath the surface, eventually causing frost heaves and cracks. Because these sealers fill the pores in the paving stones and hold the sand in joints, they can effectively repel water. Sealants can make the pavers water resistant by withstanding snow, ice or other forms of water damage thus helping homeowners save considerable costs of maintenance and repair. 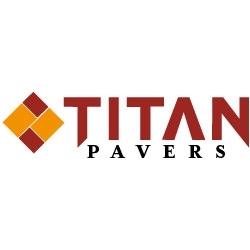 About Titan Pavers: As a reputed, award-winning paving contractor in Los Angeles, Titan Pavers have transformed the outdoors aesthetics of thousands of homes. Apart from providing high quality paving solutions to walkways, fire pits, BBQs, planter walls, patios, driveways and pool decks, Titan Pavers are known for their competitive pricing and unique designs. With superior craftsmanship and a streamlined installation process, Titan Pavers have emerged as the most trusted paving contractor. The offer of free sealer application up to 1000 square feet for first-time clients is part of their ongoing commitment to exceed client’s expectations.